Helping customers in managing Islamic finance efficiently. Classes, complete exercises and seminars are provided for free. 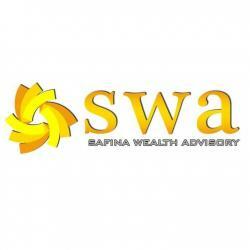 SAFINA WEALTH ADVISORY is a financial institution based on Islamic finance and is a subsidiary of Etiqa Takaful Bhd Group. This company is led by a great figure, Aini Safina who has produced outstanding figures in the industry. She is the one of MDRT (Millon Dollar Round Table) which all members want to be in this industry. This company also wants to help entrepreneurs and communities in planning, managing and controlling financial management better. Therefore, we want to find a dedicated, transparent and responsible financial adviser in helping us to realize our dreams and your dreams.